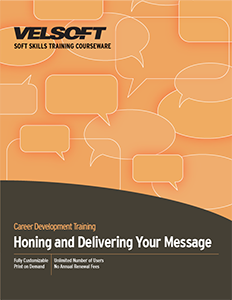 Seeing is Believing This sample manual to teach Honing and Delivering Your Message is in MS Word format. Honing and Delivering Your Message will assist you with figuring out the point you wish to make, and how to present it effectively. This course comes with many useful features including an instructor guide, student manual, assessments, quick reference guide, and marketing materials.